Our own politics is not immune to tales of corruption, petty or grand. But why is it that we are invariably excitable rather than sanguine upon hearing another tale of corruption? 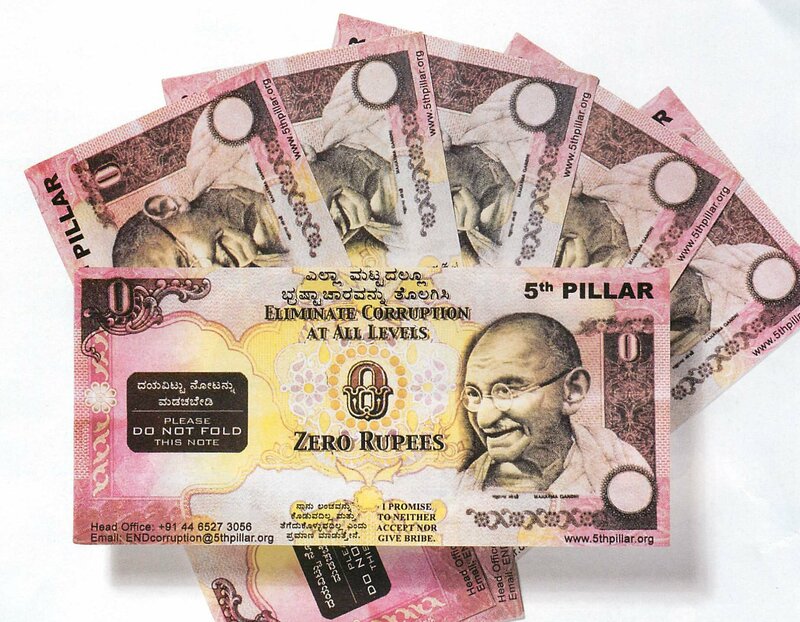 The above "currency" is distributed by corruption fighters in India for citizens to use when asked to pay bribes. On April 5, Anna Hazare took up fasting to fight corruption. On April 9, he ended it, claiming success. Now, he and the government are in negotiations in a committee to draft a new anti-corruption ombudsman bill.Mr. Hazare is a Gandhian. This school of thought looks at politics as a means to practice altruism rather than a way to serve common interests. For them, it’s a matter of principles, a battle between right and wrong, good and evil. In his mind, he is a nice guy doing a good thing for a friend. From society’s perspective, that’s corruption. And it puts a potentially dangerous driver on the road. Also, the definition of family is too big. Even second cousins and their in-laws are family. Even if a friend’s friend makes a request, you are obligated. About 100 families can claim to be your neighbors. Then there are the people in your community, which may be based on caste or religion. All these personal relationships take higher priority than social responsibility and social relationships. If you work in a telephone company, you make sure your buddy’s phone gets fixed first. If you work in an airline, you should be ready to let through extra heavy luggage of your friend. That is not only considered acceptable, that is to some extent encouraged. Breaking the rules might actually bolster your status as a good friend. Some friends consider it their right to extract “under the table” favors and if you don’t do it, they feel offended. Refusing may mean you are too “uptight” about stuff. What we don’t realize is that every time we break a rule to make room for a personal favor, we erode the credibility of that institution. We chip away at the amount of trust in society. We learn to justify breaking rules. For a onetime gain, we corrupt the process. Even though we mean to do good for someone, we create a culture ready for corruption. We need smaller, decentralized and transparent institutions which are in touch with the people. We need laws relevant to today’s world. And we need to readjust our priorities in personal and social relationships. We need to understand that short-term favors can mean long-term harm. The real long-term favor to our friends is sticking to the rules. CORRUPTION has existed as long as human civilisation and yet it never fails to garner attention, particularly in daily political discourse. Corruption scandals rightly elicit popular outrage. That outrage, if properly milked, can be a sure path into high political office. In the most recent example in our neighbourhood, an obscure legislator with a famous name, Benigno Aquino III, propelled himself into the Philippine presidency harping on almost nothing else but the pervasive corruption that makes practically every Filipino sick to the bones. Our own politics is not immune to tales of corruption, petty or grand. But why is it that we are invariably excitable rather than sanguine upon hearing another tale of corruption? Corruption is bad, that we know. It impoverishes both the human spirit and society at large, to be sure. Or does it? A book entitled False Economy by Alan Beattie contains a chapter on corruption with a catchy subtitle: "Why did Indonesia prosper under a crooked ruler and Tanzania stay poor under an honest one?" The rulers in question were of course Suharto in Indonesia and Julius Nyerere in Tanzania, both chalking up presidential tenures counted in decades -- three in Suharto's case and two in Nyerere's. Suharto ended his rule in 1998, having reputedly amassed a personal fortune in billions of American dollars. Nyerere was frugal and decent right till the very end, concluding his presidency in 1985 in spectacular honesty by admitting simply: "I failed." As Beattie tells it: "Indonesia, which today has an annual income per head of more than US$3,000 (RM9,600), adjusting for different price levels, was ruled for decades by Suharto, an autocrat whose administration was notorious for bribery and cronyism. Meanwhile, Tanzania, where the average annual income is less than US$1,000, remained desperately poor under a ruler who displayed great personal honesty and humility. Why?" Beattie drew one lesson from the examples of both countries' respective cloves industries. 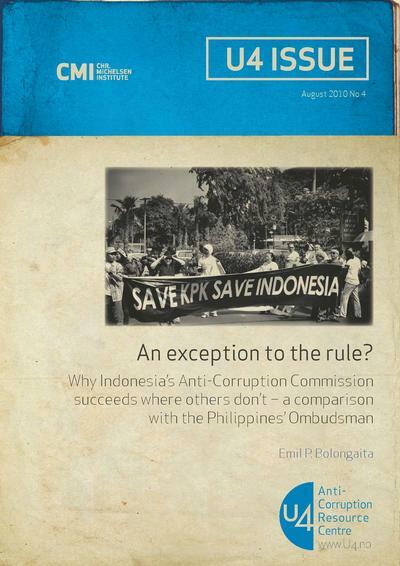 Indonesia's was a monopoly controlled by Suharto's son Tommy. Through skilful and hands-on management by handpicked technocrats, Suharto managed to keep Indonesia till today the world's top clove producer and exporter. In contrast, Nyerere undertook a misguided policy of huge collectivised farms in the name of efficiency and entrusted them to corrupt bureaucrats who proceeded to extract bribes so ferociously that farmers reverted to semi-subsistence farming, ensuring the eventual collapse of production. Beattie wryly noted: "There is a big difference in outcome between a form of corruption that regularly diverts a number of eggs from the golden goose to the dictator and his friends, and the kind that kills the bird." Suharto and Nyerere are perhaps the most vivid examples of rulers whose contrasting leadership styles produced startlingly unexpected outcomes. There are others. Beattie cheekily suggested that the Philippines of Ferdinand Marcos and the Chile of Augusto Pinochet should have swapped places, as the former looks more like a Latin American country and the latter an East Asian one. Marcos, despite his strongman rule, never had a firm grip of a country seemingly perpetually racked by insurgency and separatist rebellion, Beattie contended. Besides, businesses complained that under him, officials were not just corrupt but incompetent: "You could end up paying off dozens of them before finding one who could actually deliver what was promised. Marcos had a clique of cronies just like Suharto but his human resources skills were poor: he chose badly and was incapable of keeping them in check." So there can be "good" dictators and "bad" ones, just as there can be "good" corruption and "bad". And then there are saintly rulers who think of governance as akin to running a monastery and proceed to pave the road to hell with good intentions. "Corruption is by definition part of a system, and systems evolve for a reason. Corruption is not a good thing. But, depending on its nature and the way it has come about, it may well be less damaging than at first it appears. Julius Nyerere was fundamentally a decent man; there are far fewer people who will say the same about Suharto. "But though the latter's personal corruption was one of the main differences between them, it remains the fact that one enriched his country while the other helped to keep his desperately poor." 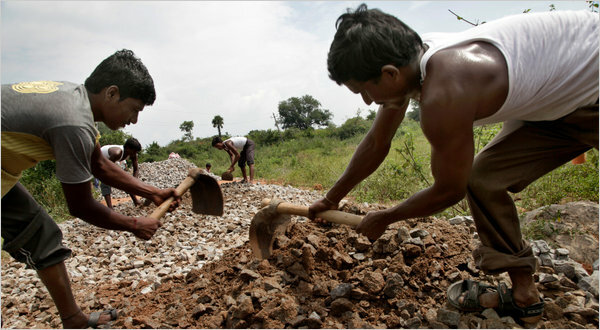 Villagers work at a road construction site under a government program in Andhra Pradesh, India. NAGARKURNOOL, India — The village bureaucrat shifted from foot to foot, hands clasped behind his back, beads of sweat forming on his balding head. The eyes of hundreds of wiry village laborers, clad in dusty lungis, were fixed upon him. A “social audit” in Nagarkurnool in October, part of an experiment to ensure that government benefits actually get to the poor. A group of auditors, themselves villagers, read their findings. A signature had been forged for the delivery of soil to rehabilitate farmland. The soil had never arrived, and about $4,000 was missing. The bureaucrat, a low-level field assistant who uses the single name Sreekanth, was suspected of stealing it. “I am a very rightful person,” he declared. But the presiding official would have none of it. He ordered that the money be recovered and that Mr. Sreekanth be promptly disciplined. That simple verdict was part of a sweeping experiment in grass-roots democracy in rural India aimed at ensuring that the benefits of government programs for the poor actually go to the poor. It empowers villagers to act as watchdogs and to perform “social audits” like the one that meted out quick justice to Mr. Sreekanth. Their success or failure could have broad implications for India’s quest to lift hundreds of millions of people out of poverty. India is home to more poor people than any country in the world, a fact that stands in mute challenge to its ambitions as an emerging world power. In decades past, fraud and waste have sapped efforts to help the poor. Rajiv Gandhi, a former prime minister, famously estimated that only 15 percent of every rupee spent on the poor actually reached them. The social audits seek to fundamentally change that equation. In many states, the audits have been perfunctory or hijacked by local officials. But the results here in the southern state of Andhra Pradesh, home to 76 million people, have been remarkable. Social audits statewide have found $20 million worth of fraud over the past five years, and 4,600 officials have faced administrative or criminal charges, said V. Vasanth Kumar, the minister for rural development in Andhra Pradesh. The results of the audits, down to the tiniest details, are available online for anyone to study. With the Indian government planning to spend a quarter of a trillion dollars to help the rural poor over the next five years, such audits will be crucial to reducing waste and fraud. Much of that cash will go to a program created in 2005 to provide people in the countryside with 100 days of work at minimum wage on small-scale village infrastructure projects. This year, the government has budgeted $9 billion for the program, potentially ripe pickings for corrupt businessmen, politicians and bureaucrats. To safeguard their efforts, the officials who drafted the law required the social audits, in which the beneficiaries themselves ensure that the program is run cleanly. Villagers scour records and look for fraud, then hold public hearings. Officials like Mr. Sreekanth — whose punishment has not been determined, but who could be suspended or fired from his job or charged with a crime — are held accountable. The concept has been around for decades, championed by influential social activists like the author Aruna Roy. In Rajasthan Province, the social movement she helped found, Mazdoor Kisan Shakti Sangathan, popularly known as M.K.S.S., has conducted social audits for years. But Andhra Pradesh is the first state that has put its full political and bureaucratic weight behind them. Officials embraced the audits in part because they realized it was good politics to keep programs for the poor free from corruption. India is the world’s largest democracy, and the rural poor represent the nation’s largest pool of votes. Programs like the one that guarantees 100 days of work for people in rural areas are credited with helping the Congress Party win last year’s election. “Politicians in Andhra realized there was a lot of political mileage to be gained by keeping this program clean,” said Yamini Aiyar, a senior fellow at the Center for Policy Research in New Delhi, who has tracked the state’s use of social audits. Auditing the records, which run to thousands of pages, is painstaking work that would tire the sharp eyes of even a seasoned forensic accountant. Most of the auditors are village youths who have been trained, but who also rely on their knowledge of village life to spot fraud. Zamiruddin, a 24-year-old auditor from Rangareddy, a rural district, explained how he detected fraud in the mountain of documents he examined. Flipping to a muster roll from February, he pointed to a list of names that he found suspicious. “These names are in different handwriting than the ones above,” he said. “That is the first problem.” All the workers also had signed their names rather than giving thumbprints, which was unusual for rural laborers. And they reported perfect attendance, together earning about 6,400 rupees for five days of mulching. Zamiruddin went to the village, Manthati, and interviewed the people whose names were high on the list. None of them recalled seeing the workers whose names appeared below theirs in the different handwriting. Indeed, one of those workers was a 16-year-old who was ineligible to work in the program. In all, Zamiruddin found that more than 139,000 rupees worth of wages had been paid to such ghost workers. At the hearing, the field assistant who filled out the roster was suspended, and the wages were ordered recovered. But the audits are far from trouble-free. Here in Nagarkurnool, a senior Congress Party politician elbowed himself onto the dais next to the official who was supervising an audit, trying to take control of it and repeatedly interceding to defend local politicians and contractors. A contractor, himself a government leader in a nearby village, was called up for falsifying measurements on a project. He disputed the ability of the auditors to take such measurements. A ruckus ensued. Dozens of Mr. Reddy’s supporters rushed to the front, trying to attack the village auditors. The police were called. Private contractors cost taxpayers worldwide untold billions in corruption, inefficiency, and mismanagement. But the solution isn't getting rid of them -- it's showing the rest of us their paperwork...There's an answer to these problems: Publish the contract. That would allow citizens, watchdog groups, even competing firms to see whether taxpayers are getting their money's worth. It would also considerably reduce the legal costs of contracting (because we wouldn't continually have to reinvent the wheel when it came to writing contracts in the first place) and allow the spread of better contracting practices. Contract transparency is starting to catch on. Colombia's e-procurement website already regularly publishes the full contract for procured goods and services, along with contract amendments and extensions and a range of other documents from the procurement process to final evaluation. 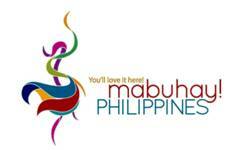 By 2008, five years after its launch, the site was getting nearly 5.5 million visitors a year. And Colombia is not alone: A number of state governments in Australia have a similar system in place, and Florida's Miami-Dade County sometimes publishes full contracts on its own procurement website. It is no surprise that where greater contract transparency is introduced, there is evidence that costs fall. A World Bank infrastructure project in Bali, Indonesia that included transparency combined with audit and complaint mechanisms reduced prices for goods and works by 21 percent compared with non-project contracts with less disclosure. Complaints related to contracts disclosed have led to contractors returning fees. Contract transparency also allows for improved delivery. You only need one expert -- or an amateur with patience -- to uncover issues if they know what's meant to be delivered. That's an approach that has allowed NGOs monitoring schoolbook procurement and distribution in the Philippines, for example, to reduce textbook prices by half while increasing the speed and reliability of delivery. The usual argument against greater contracting openness is that it would disclose contracting firms' trade secrets or invade the personal privacy of staff, that it would betray information vital to national security, or that it would simply be too much work. But the experiences of the governments that are already publishing contracts give the lie to these complaints. Finally, with regard to transaction costs, the Internet has made the marginal cost of publication close to zero. The most expensive online government procurement system a recent survey uncovered was the $27 million South Korean version used by 27,000 public-sector organizations. It could be easily adapted to publish contracts alongside tender documents. This hardly seems a high price to pay. Having said that, redaction to meet national security or trade secret concerns does take work. So some jurisdictions that have introduced contract-publication schemes limited disclosure to larger contracts. In Victoria, Australia, for instance, that threshold level is about $10 million. And to limit the level of effort required of bureaucrats, contractors should be asked to identify what information they think should be withheld and give legally sustainable reasons why -- officials can review these requests rather than going over the whole contract themselves. The real question is a simple one, then: Why not make government contracts public? It is about time officials lived up to a simple maxim: Publish what you buy.